Dennis Wolf has won the 2014 Arnold Classic. This is a huge step in Dennis’ career as he has now won the second biggest prize in bodybuilding. It is was third attempt for the title. It evident from the start that it would be a close battle between Dennis Wolf and Shawn Rhoden. 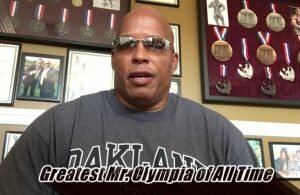 The greatest Mr. Olympia of all time. Do you agree with Shawn Ray?